You never know where you are with the English weather. Last week I was covering my legs in winter tights and contemplating putting the central heating on … and then, whooosh! … all in the space of about 12 hours it’s suddenly summer again and the sun cream has to come back out. Obviously Linda and George had slipped some sun through the security gates at Alicante airport as they flew to London yesterday morning and in the evening we were able to bathe in the glory that is a warm summer night. With Jonathan and Lyndsey coming round to join us there was only one method of cooking to go for with my chief barbecuer on hand. I never barbecue myself; I can’t be bothered with all the fuss and certainly wouldn’t bother on my own. 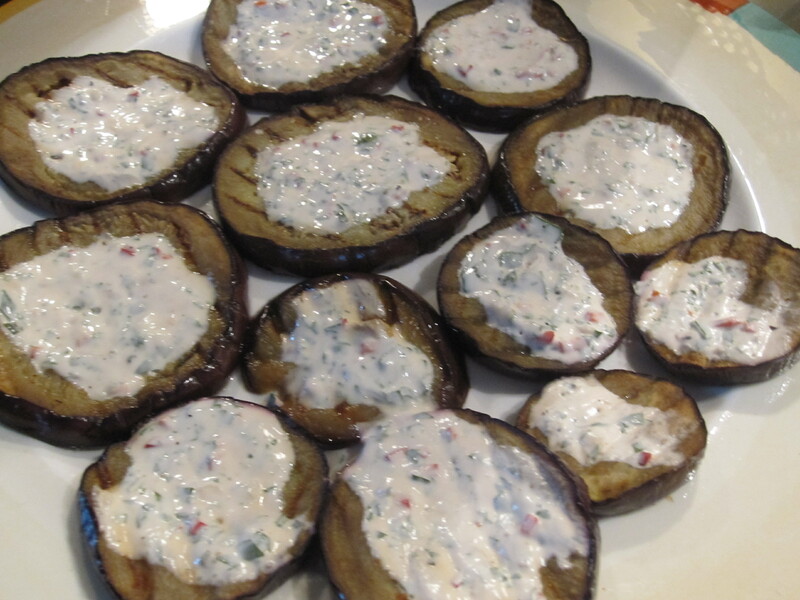 But there’s nothing quite like the taste that the burning coals impart to some gorgeously marinated meat and my son – who is a chef par excellence in all cooking methods – is a very fine barbecue cook. Men at the barbecue is such a joke – and I’m really not getting at men, please let me hastily assure my male readers! – but the trouble is that often men who don’t normally cook at all think it’s the thing to do when a barbecue is planned. It must be some atavistic switch that gets thrown at the sight of a barbecue and bag of charcoal briquettes. Man light fire. But as they have absolutely no idea about how to cook properly in the first place you end up with burnt offerings and dangerously bloody chicken on your plate. Where does the idea that someone – anyone, be it man or woman – who doesn’t normally cook can barbecue come from? 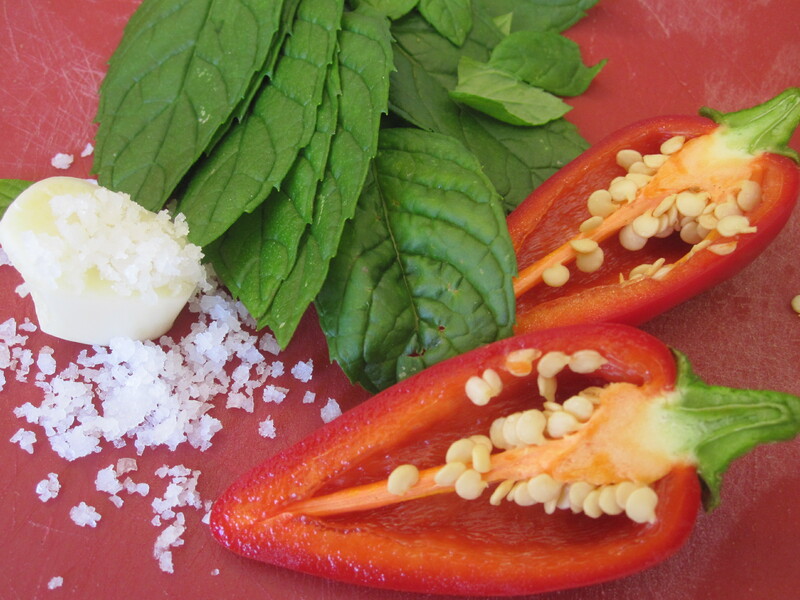 It actually requires a good understanding of the cooking process to do it properly and a lot of skill to do it well. 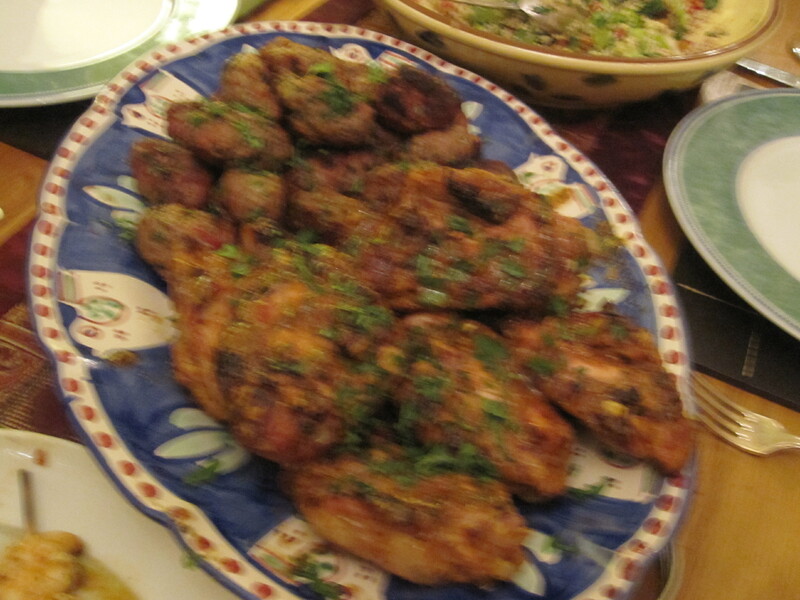 I had a lot of work to do yesterday (of the ‘day job’ variety) so thought I’d just prepare a few favourites rather than seek new culinary challenges: some koftas from Moro East and chicken thighs marinated in a fabulous tahini concoction from Moro the Cookbook. 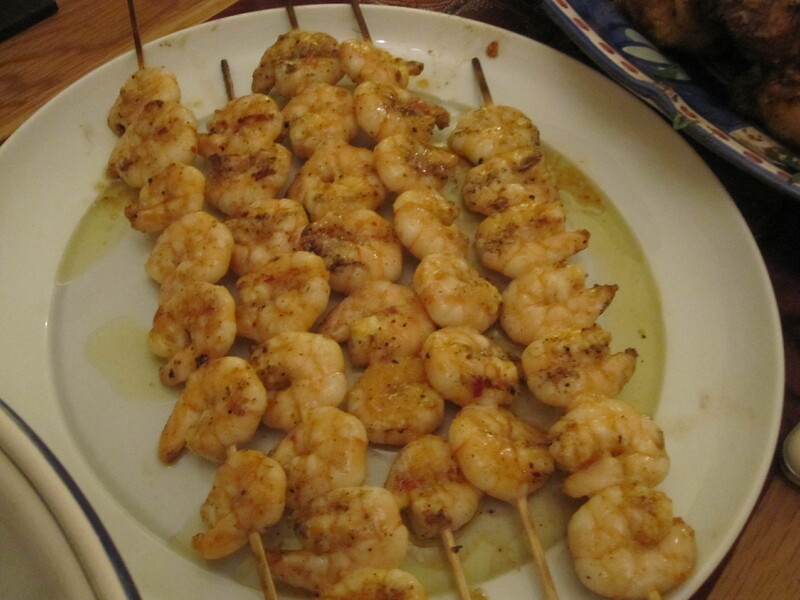 I had some raw prawns which I marinated in oil, harissa, chilli and lemon juice, but did those quite close to cooking time so they didn’t ‘cook’ in the lemon before reaching the barbecue, and threaded them at the last minute on wooden skewers. 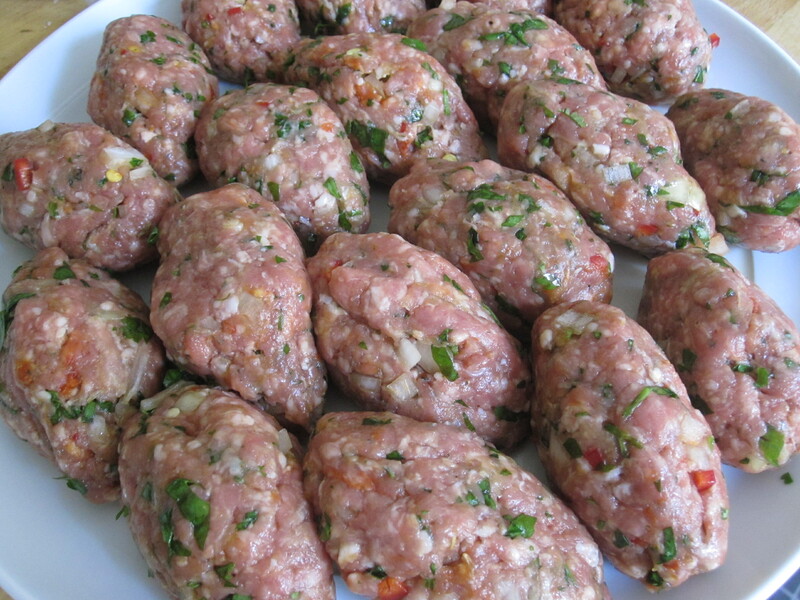 The koftas and chicken were prepared early in the day. 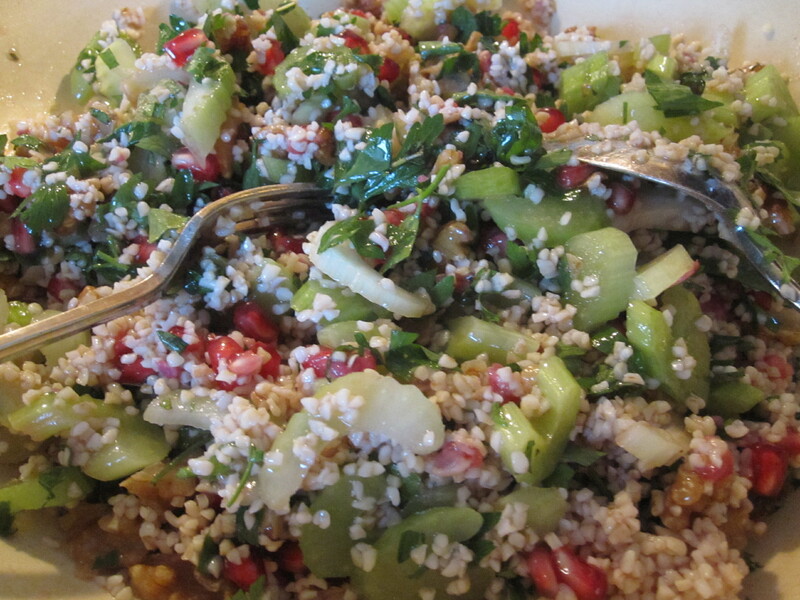 I made the Bulgur, Celery and Pomegranate Salad that was such a success last weekend, putting it all together early in the day but leaving the dressing to go on close to eating time so it retained its crisp freshness. 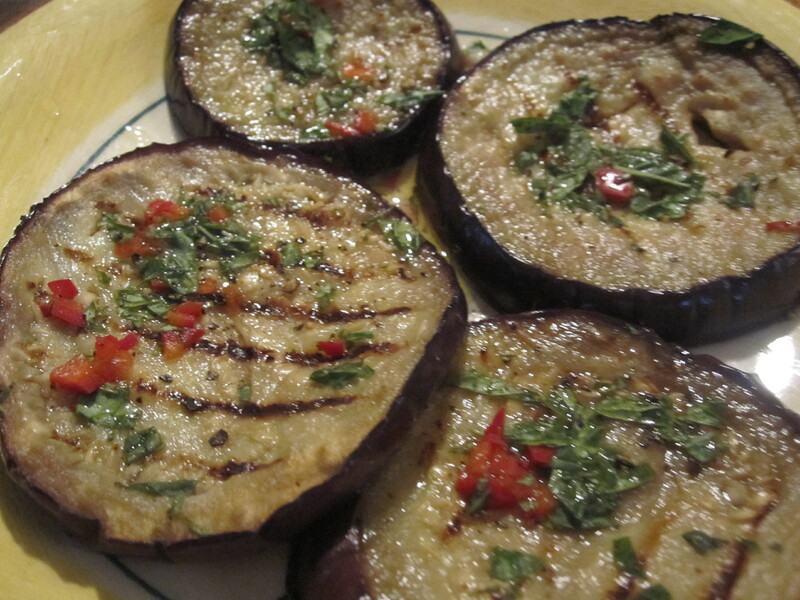 I sliced aubergines, coated them in oil and griddled them. I made a two dressings: one of oil, freshly chopped chilli and mint and a little red wine vinegar; to the other I also added yogurt. Chief Barbecuer was delayed at the big City world called office, and although it wasn’t too late in the end when they arrived it was quite dark … a sign that summer, however warm it is, is almost over … but the fire was soon going strong with the special chimney Chief Barbecuer gave me for my Weber and while we waited for it all to cook, some ice-cool fizz and a few olives and roasted almonds got the evening going. The fizz can be blamed for my out-of-focus photo of the meat … I can however assure you it was perfectly cooked, still moist but with that lovely barbecued caramelisation on the outside, and absolutely delicious. To my surprise, Chief Barbecuer left me to cook the prawns. Oh my gosh but isn’t it just HOT standing by a barbecue! He’s not really a fish man so obviously decided I should cook this part of the meal. 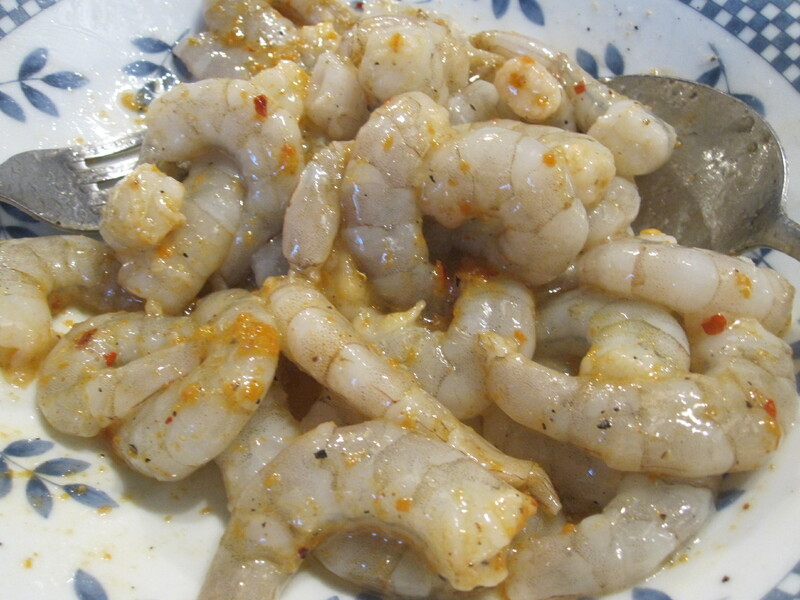 The trick, of course, with prawns is to cook them through but not overcook them to a rubbery finish. As soon as they turn red and you see the transparency gone, whip them off fast. I’d made a big green salad to go with it all and we tucked in, moving on from fizz to some fruity Chilean Merlot that Linda and George had brought and soon the house was full of laughter and happy eating. Dessert was a doddle. 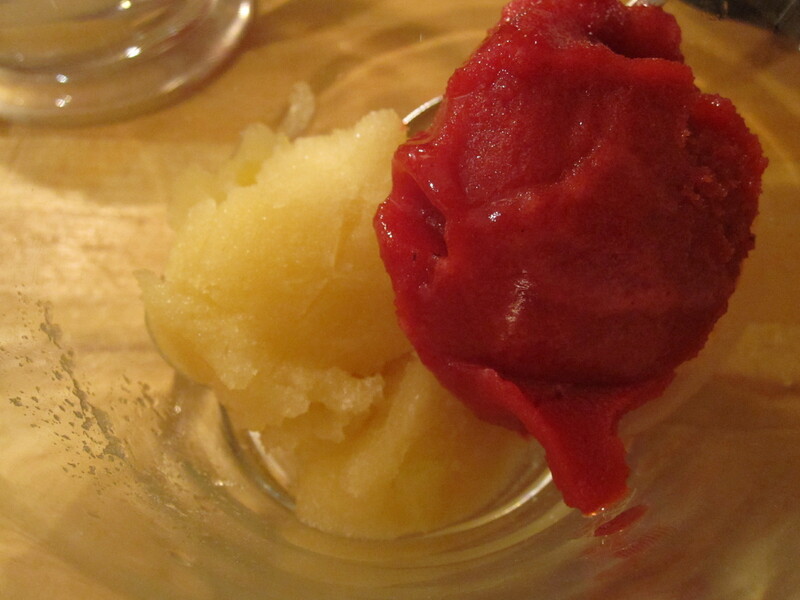 With tubs of my Summer Sorbet and my Apple & Calvados Sorbet in the freezer, all I had to do was get them out for a while to soften before serving. 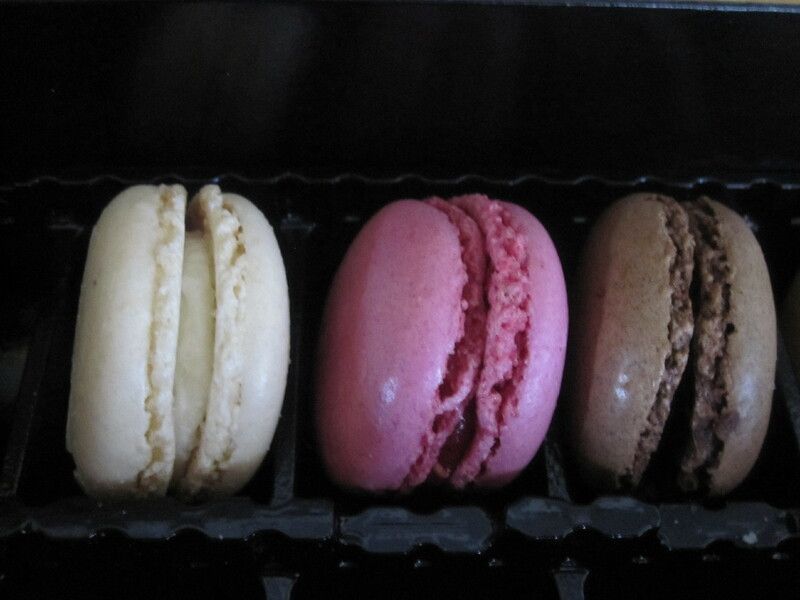 I’d bought some macarons earlier in the day from Paul to have too. 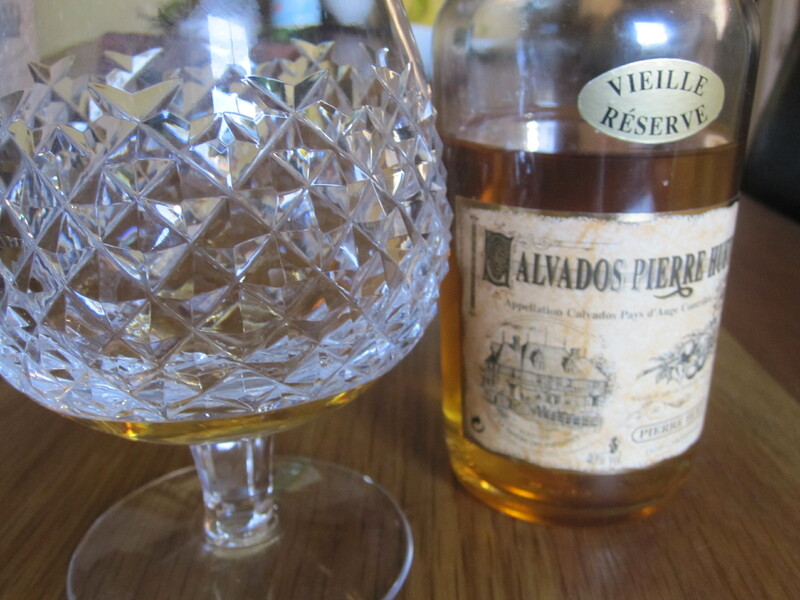 And, of course, we had to finish with some of that wonderful calvados, bought recently in France. Thank you, Jo. Was a really lovely evening.